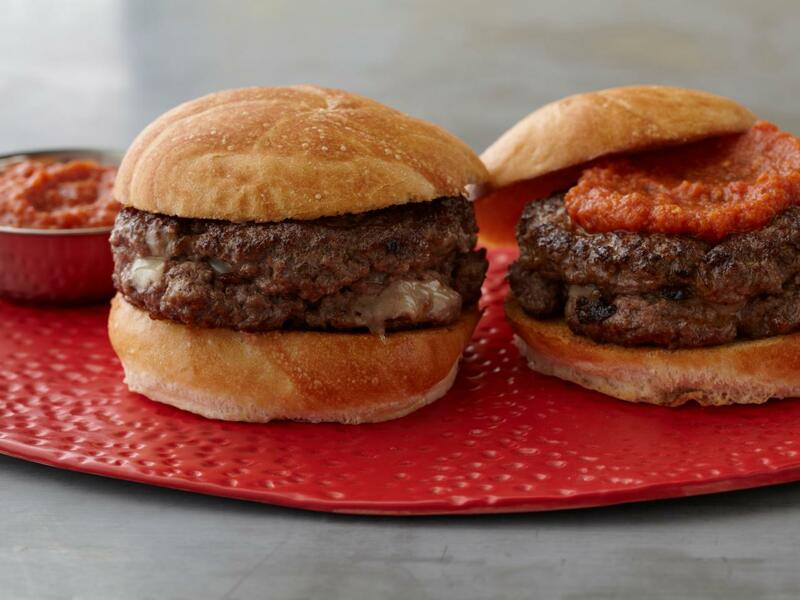 Follow Guy Fieri into one of the hundreds of restaurants he features on Diners, Drive-Ins and Dives and you’ll find him taking a massive bite of all-American eats — think burgers, hot dogs and pancakes. 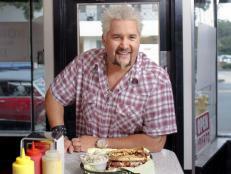 As a winner of one of the earliest seasons of Food Network Star, Guy wows fans with his rockin’ dishes on Guy’s Big Bite and the outrageous challenges he gives contestants on Triple G.
We’ve rounded up some of Guy’s biggest and boldest dishes, from his bacon-studded macaroni and cheese to Italian-style nachos. Orange juice is certainly delicious as a breakfast drink and also in Guy’s Cuban-inspired spicy citrus sauce, known as mojo. 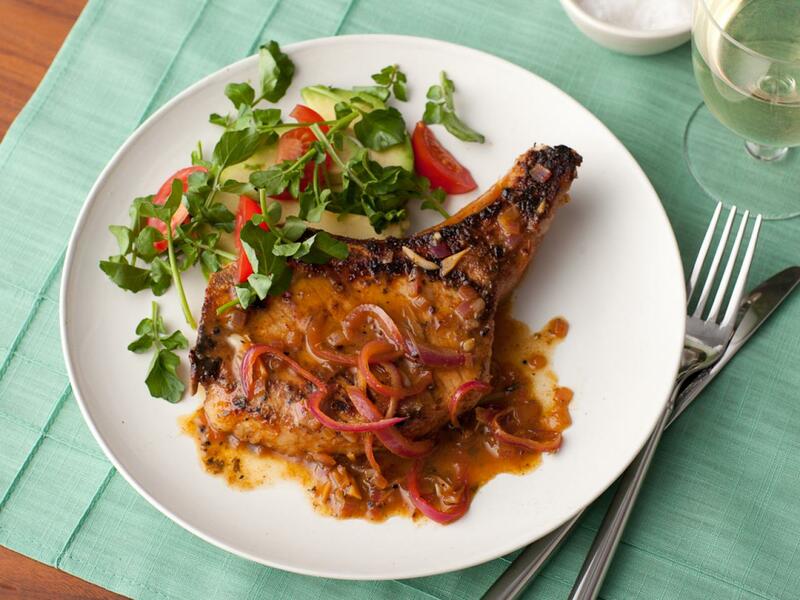 Though this sauce is the star of his pork chops, the citrus marinade and dry rub are also key, as they flavor the meat from the outset. 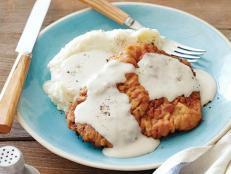 Add orange juice and white wine as the pork chops cook, then remove the meat and simmer until a thick sauce forms. 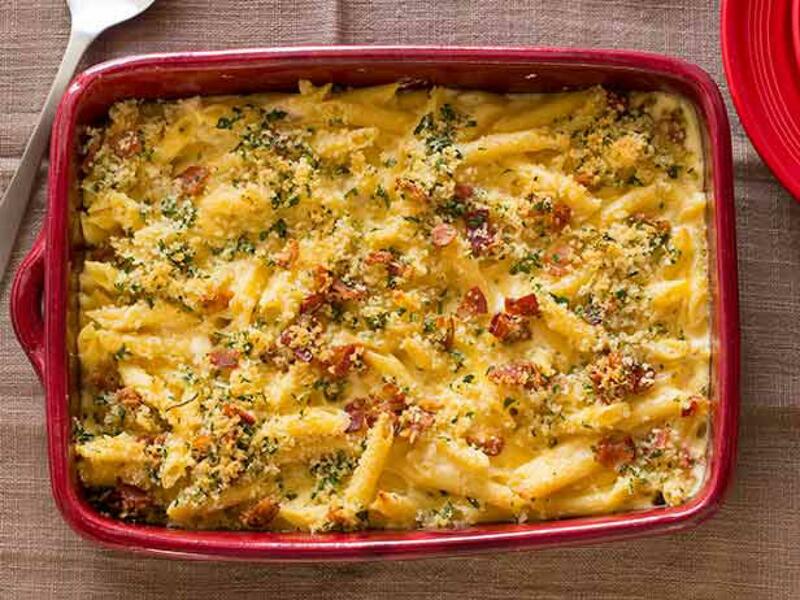 Guy puts his signature indulgent spin on this timeless comfort food by cooking the cream sauce in reserved bacon fat. He adds roasted garlic and shallots to a creamy combo of pepper Jack and cheddar cheese, and then tops the pasta with breadcrumbs and diced bacon for an irresistibly golden crust. Frying fish to perfection is easy when you follow Guy’s lead. He starts by coating the cod with a tangy lime-and-tequila marinade, and then batters and fries it until a light and crisp crust forms. 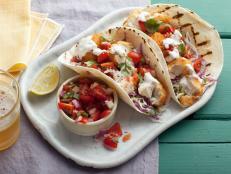 Layer the fish into warm corn tortillas with fresh pico de gallo and tequila lime aioli for a creamy tang to tie this eat-with-your-hands dish together. Guy takes French toast up a notch when he batters thick-cut Texas toast in a creamy egg mixture that gets a rich element from orange liqueur. 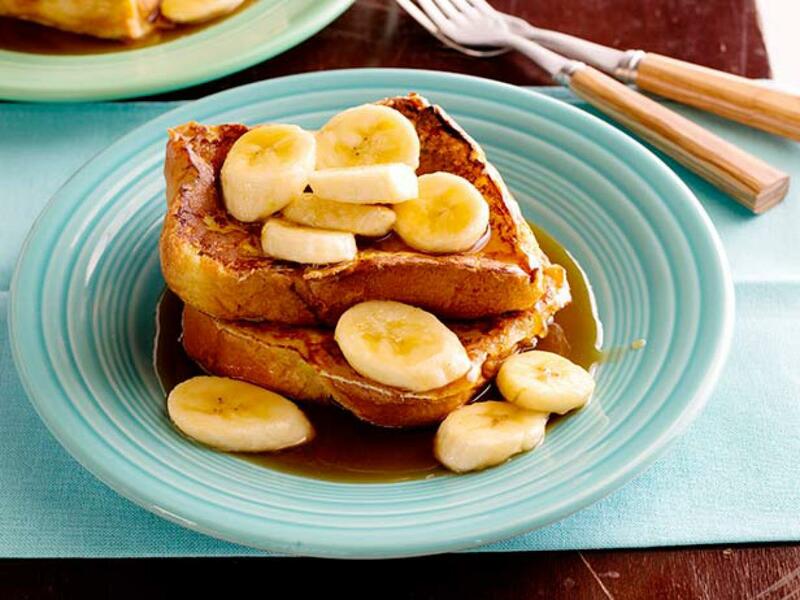 Top the golden toast with a buttery caramel sauce for a breakfast indulgence or decadent dessert. 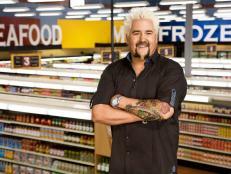 If there’s one recipe that epitomizes Guy’s big and bold flavors, it’s his turkey chili for Food Network Magazine. 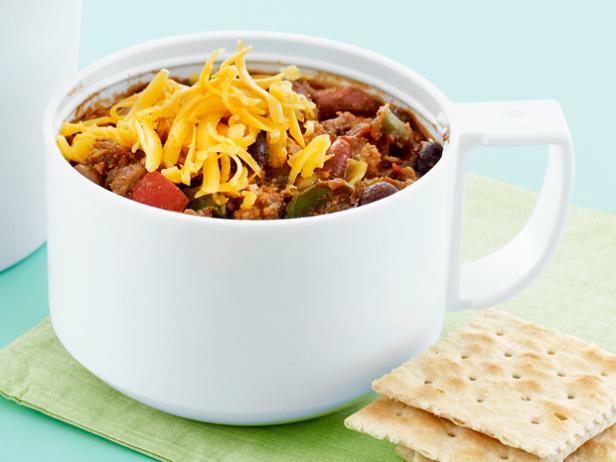 Guy flavors this hearty stew with pasilla chile peppers — he rehydrates the dry kind for convenience — and spices like cumin, chili powder and paprika. Add three types of beans for heft, plus a bit of cheddar cheese as a garnish. 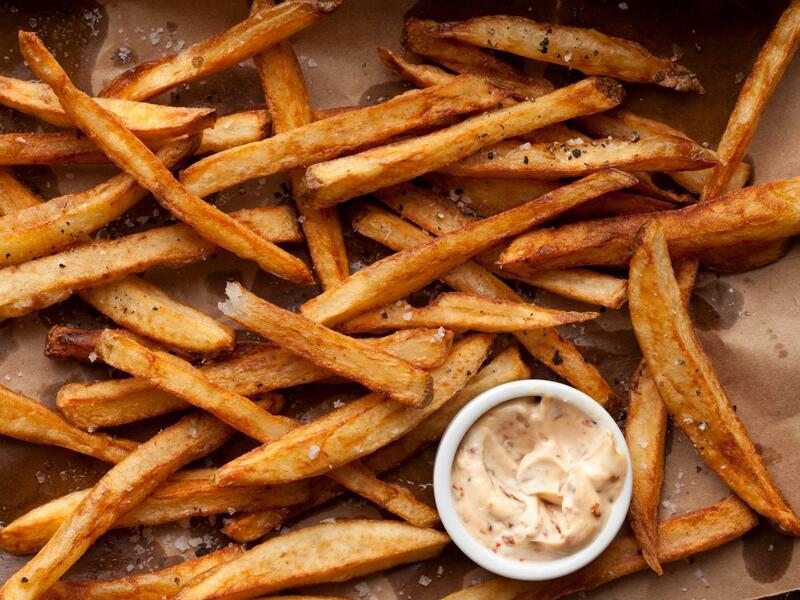 Though they’ve been a longtime sidekick to burgers, Guy puts the spotlight on fries. 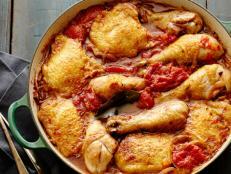 Before double-frying the potatoes — his trick for the crispiest texture — he soaks them in water to remove the excess starch. Season with salt and pepper for a finger-licking-good snack. 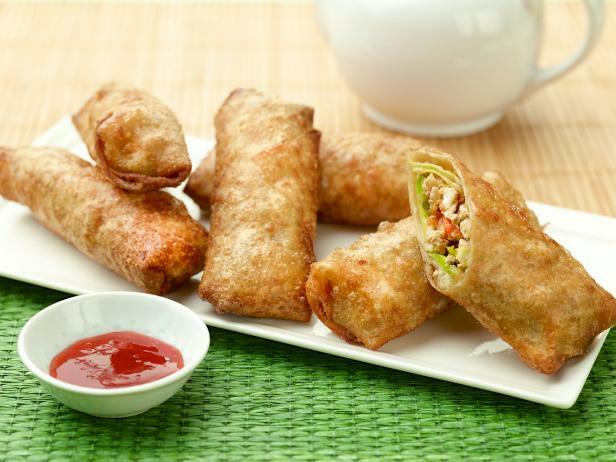 Guy’s crispy fried egg rolls feature Asian-inspired ingredients like ginger and bamboo shoots that he sautes with chicken and veggies for the flavorful filling. 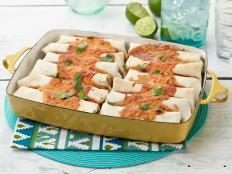 Layer the mixture atop creamy avocado and fry until golden brown for a crowd-pleasing appetizer. Bite into this next-level burger and you’ll know why it gets the name “inside out.” Guy sandwiches a bacon-and-chorizo mixture with Swiss cheese in between two burger patties for an over-the-top filling that only gets better with the addition of his homemade ketchup. Guy gives his nachos a twist by using fried wontons instead of chips. 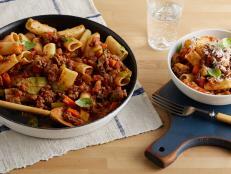 Layer the crisp wontons with a meaty mixture featuring ground beef and Italian turkey sausage, and a topping of creamy mozzarella cheese. 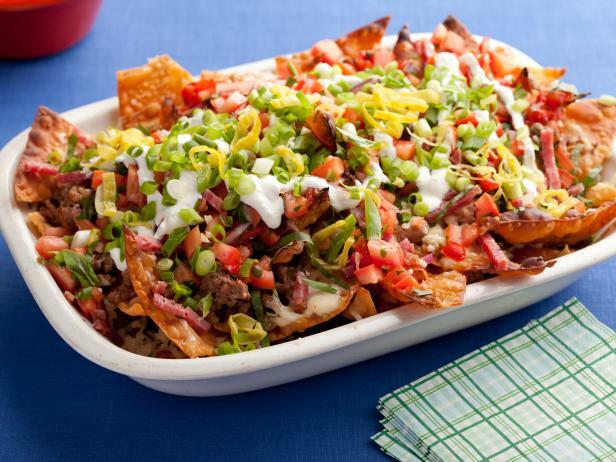 Once the nachos broil and the cheese is melted, top with fresh Italian salsa and additional toppings like ricotta and salami for a party-ready meal. 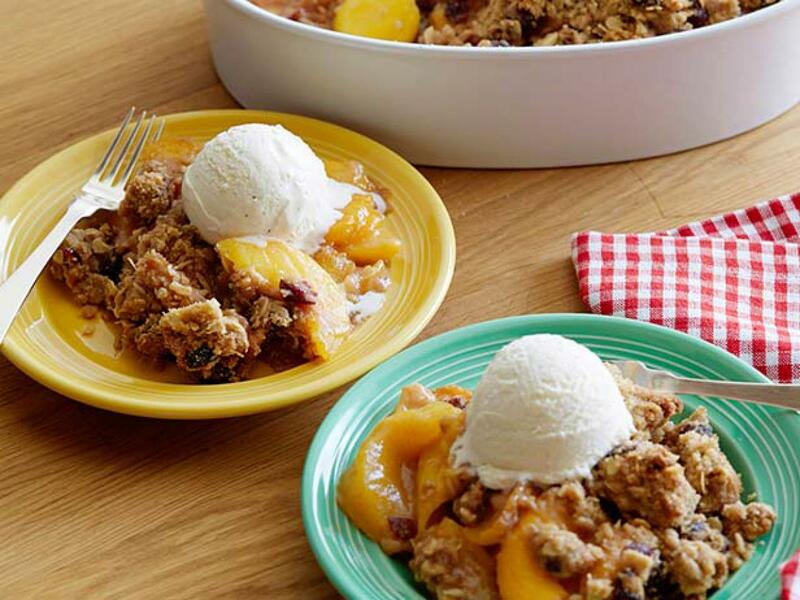 The beauty of Guy’s peach cobbler is that it can be made year round, thanks to his use of frozen peaches. Top the fruit with a buttery crumb topping that Guy takes to the next level with slivered almonds and cranberries. Serve with vanilla ice cream or fresh whipped cream for an over-the-top dessert. 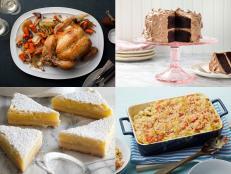 Browse through 10 of Ina Garten’s best recipes. Find out her tricks for perfectly roasting potatoes and Brussels sprouts and intensifying the chocolate flavor in her old-fashioned cake. 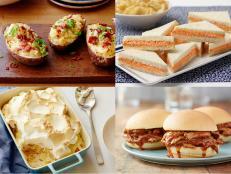 Check out Trisha's best sweet and savory recipes, like her crowd-pleasing Chocolate Pound Cake, Deviled Eggs and Slow-Cooked Georgia Pulled Pork Barbecue. 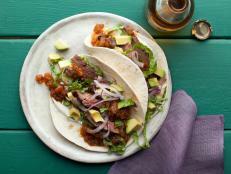 You'll want to bookmark this page for later.